The dreams come true! HUGE Rebelle update is released today with advanced features such as faster painting, touch support, custom palettes, flip canvas, language selection and many other improvements. 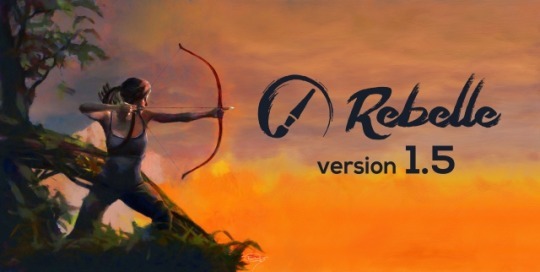 Rebelle 1.5 was first introduced at Appy Hour event at this year’s Siggraph conference. We received many ‘wows’ and ‘aahs’ from the best professionals and honestly could not ask for better audience (check our Siggraph 2016 experience in this blog post.). Then we brought Rebelle 1.5 home to our lovely Slovakia to finish details and today we’re proud to give it out to the world. What are the new features you can lay your hand on in Rebelle 1.5? Pause Diffusion - Have you ever wished to pause the wet pigment from spreading on canvas and have more time to think about your next painting move? Although this is not possible in real life, since we work digital it is possible with just one click in Rebelle. Pause Diffusion button is available in the Layers panel. Support for touch displays - We’re humble most of the time :) , but this is something we are really proud of! The touch support is not easy to implement to a desktop application but we had a vision to make the best “touch” support ever. That is why you can now use your fingers to zoom, pan and rotate the viewport and all layers. Works also with mouse, pen, and of course, tablets with touch support. Improved Canvas tilt and Accelerometer Support - Tilt deserves panel on its own and that is exactly what we did in Rebelle 1.5. Now you can undock Tilt to make it accessible directly from the canvas and quickly turn it on and off easily. We’ve also implement support for tablet accelerometer so you can get the beautiful watercolor drops and effects based on your tablet’s orientation. Improved User Interface - The user-friendly and well organised interface is always one of our top priorities. Now each panel in Rebelle 1.5 can be collapsed and has its own menu in the top right corner. You can scale the whole interface from 70% to up to 200%. What is more, you can set your preferred interface layout easily, see some examples below for your inspiration (UI can be reset to default any time via Window menu). Improved Palette Panel and Custom Palettes - We’ve divided the old Palette panel into two: Color and Color Set panels. 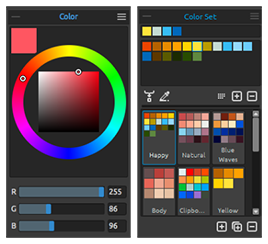 The first one lets you pick your color using the palette or sliders and the latter gives you an opportunity to create your very own list of palettes. Not only you can create your palette by adding various colors, but also from a selected image! 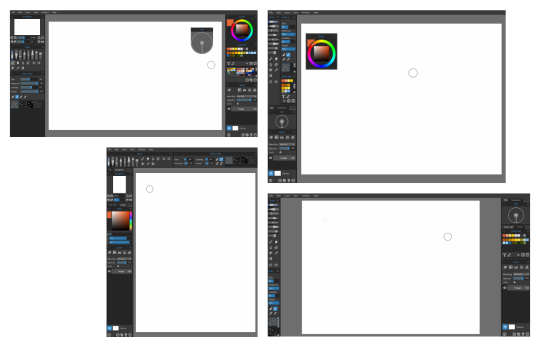 Rename, reorder, duplicate or remove any palette you want in a second. What a nice addition to Rebelle, right? Publish to Gallery - From 1.5 version you can upload your beautiful artworks to our online gallery and boast of your enormous talent. :) We can’t wait for your art to get there so hurry up and create something special, the latest update deserves it. Language Selection - Although most of Rebelle users are from English-speaking countries, we feel that it’d be great if the rest of the world can enjoy Rebelle in their native language as well. That’s why we added German, Spanish, Korean and our native Slovak translation. Set your preferred language of Rebelle interface in Preferences panel. If you would like to translate Rebelle to your native language, we can send you the list of 250 words used in the interface and you can translate them for you fellow creatives. - More flexible user interface, panels can be locked to left, right, top and down borders. You can download the 1.5 update from our Download page. The update is free for all existing Rebelle users. Find out more about Rebelle on our website: rebelle.escapemotions.com or try the free Demo. And most of all - have a great time painting!